Havenwoods is a vibrant, diverse community located on the northwest side of Milwaukee that community offers the vitality and convenience of urban living in an area accented with natural greenery. Neighborhood Area: 43rd St to 76th, and Silver Spring Drive to Good Hope Road. Havenwoods has reasonably priced homes offering attractive single family ranch style homes and the traditional “Milwaukee bungalows.” Residents enjoy ample green-space on their own tree-lined streets and spacious sized yards. The price range is from $22,000.00 to $199,999.00. The median list price, $84,000, with the sale price of $65,000. The average sale price is $75, 346. Amenities in the neighborhood and throughout Milwaukee are just minutes away via public transportation and the proximity of I-43 and I-45. Several public, private and parochial schools are located in the area, as well as churches of many denominations. 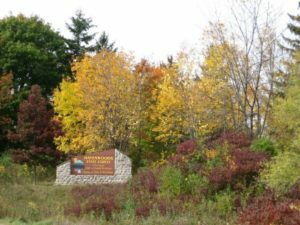 Havenwoods State Forest is Wisconsin’s only urban state forest, featuring 237 acres of grasslands, woods and wetlands in the city of Milwaukee. Hike, bike and ski over six miles of trails. Explore one of the four ponds, stroll over the 120-foot bridge or find a bench to sit and relax outdoors. Several geocahes and way marks can be found at Havenwoods State Forest. Havenwoods is home to more than 250 businesses providing residents with job opportunities. In 2004, a Business Improvement District was formed to make an annual financial contribution to the betterment and increased vitality of the Havenwoods neighborhood. Shoppers enjoy the variety of locally owned businesses found along 76th Street and Silver Spring Drive and many stores housed at nearby Midtown shopping center and Bayshore Mall. To learn more about Havenwoods contact Jessica Noth at 414.431.2271 or jnoth@havenwoods.org.